Ready to make a splash next mealtime!? Munchkin's training cup from the Splash™ line is guaranteed to get your little excited next time she asks for a drink. The modern design won't clash with your décor and the convenient press-fit training lid directs the flow of liquid, so no messes while little hands learn to use a big kid cup. 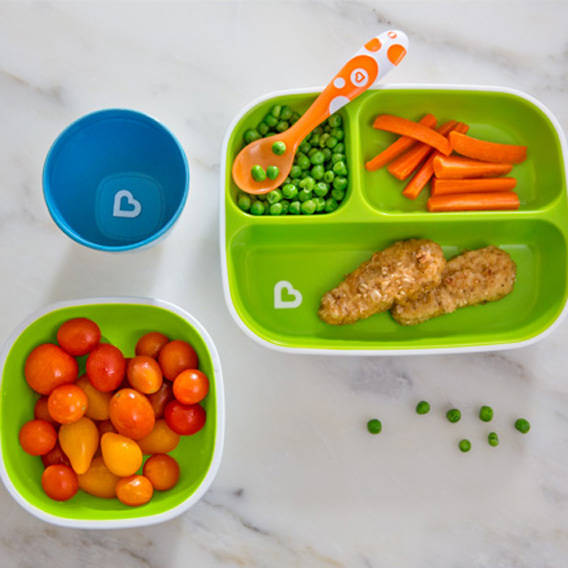 BPA-free and dishwasher safe, these cups are perfect for teaching and everyday use!